"No withdrawal limits - fast payouts!" 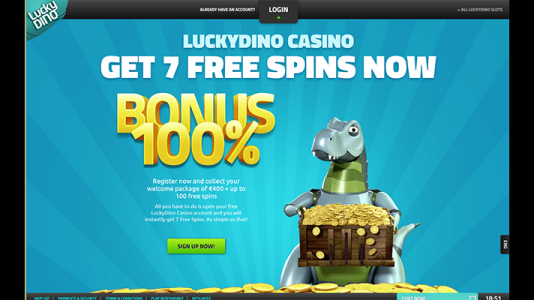 Lucky Dino Casino is a relatively new casino run by the same folks who run casinojefe.com, and so far so good. Recently added are Pragmatic Play and Yggdrasil among softwares. 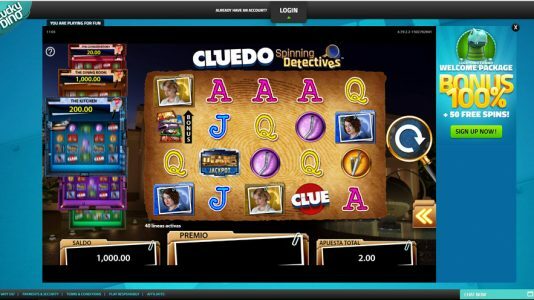 The layout of the casino works well – it is very intuitive – it was not difficult to find what I was looking for: two things – their terms and conditions and licensing information. (those should be your first two stops as well). Signing up to the casino was easy peasy. I had an account opened and verified within minutes. Please be aware (old timer alert) you need a smart phone to verify your account. Depositing: This may be an issue for those of you using webwallets. There are only three ways to make a first time deposit: Bank wire, Visa Card, Paysafe. That’s it. I thought there was something wrong with the drop down screen so I went to live chat support asking what was up, and I was told that webwallets like Neteller and Skrill are not allowed for the initial deposit. This did not make much sense to me since I was not depositing with a bonus. It was a straight deposit. So this put me off a bit. It was no where in their terms and conditions – unless I missed something – but I’m pretty good about that. In my opinion, this should have been pointed out during the sign up process. Many punters manage and control their bank rolls with Neteller and/or Skrill. Another thing I noticed in their terms and conditions, it states that non-bonus deposits need to be played through 5x. In my opinion, this is a bit overboard. 1x is enough. The casino has the RTP of the games already in their favor. There is a thread in our forum addressing this to include statements made from licensing jurisdiction about mandatory play through requirements for non-bonus deposited funds: Is 5x wagering requirement on flat deposits excessive? If you wish to withdraw more than EUR 20,000, casino reserves the right to divide the pay-out in ten installments for 10 months, paying 10% of the requested withdrawal in one calendar month. “Standard WR for reloads is 50xbonus. There are some special promotions, but they are only for those who have recieved promotional email(all terms are there). And I agree, this is top notch casino. Fast withdrawals, many bonuses, slots run smoothly, site easy to navigate, absolutely hassle free experience. 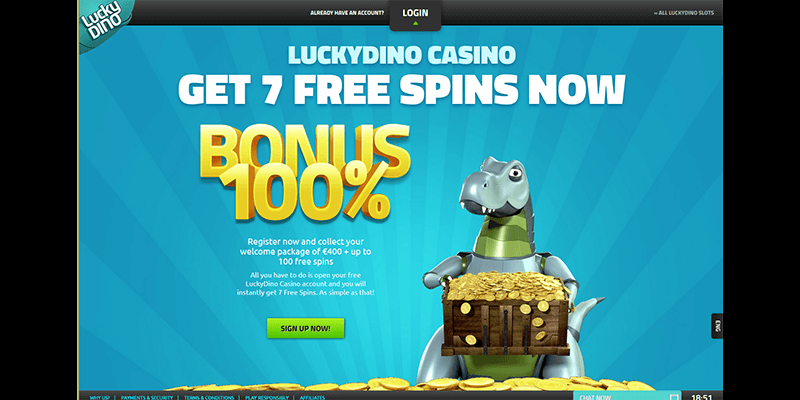 Lucky Dino Terms and conditions Apply. All in all a pretty good casino. They pay quickly, and so far so good. The comments by players are relatively positive, so far the buzz has been pretty good. I would recommend this casino to my friends.